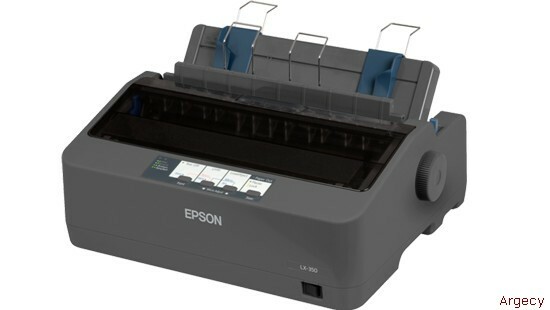 Epson, world leader of Impact Printers, introduces a new printer with the same technology, reliability and quality of its predecessors, but with a more compact presentation and robustness. A very economical printer to run, the LX-350 helps save money with its NEW high ribbon yield of 4 million characters (Ribbon compatible with LX-300+II and LX300+) and its low power consumption. The LX-350 is qualified by ENERGY STAR for its excellent energy efficiency. No. 6 envelopes: Maximum thickness: 0.0063 ~ 0.0205"
No. 10 envelopes: Maximum thickness: 0.0063 ~ 0.0205"
Maximum thickness: 0.0028 ~ 0.0035"